Reading books is an important way to grow around a particular subject matter. These books are non-fiction. In other words they are not about ghost stories, they cover the reality behind the myths and uncover parts of the unknown. Most books on ghosts can be found in your local library under 133.1 under the Dewey Decimal System. Some of these books are no longer in print or you may have to special order from your local major bookstore. I have found many of these in used book stores as well as on Amazon.com. This is by no means a complete list of what is out there, it is only a sample .The following list of books include books I have read and a few that I have written. Many of the authors shown here have other books relevant to the subject. I also recommend reading scientific journals, including parapsychology / psychical research. Cassady, Charles Jr. (2008). Cleveland Ghosts. Atglen, Pennsylvania. Schiffer. Cohen, Daniel. (1972). In Search of Ghosts. New York. Dodd, Mead & Company. Danelek, J. Allan. (2006). The Case for Ghosts: An Objective Look at the Paranormal. Woodbury, Minnesota. Llewellyn Publications. Denning, Hazel M. (1996). Hauntings! Real-Life Encounters with Troubled Spirits. New York, NY. Barnes & Noble Books. Holzer, Hans (2005, 1965). Ghosts I´ve Met. New York, NY. Barnes & Noble Books / Aspera Ad Astra, Inc.
Holzer, Hans (1997). Ghosts: True Encounters with the World Beyond. New York, NY. Aspera Ad Astra, Inc.
Iverson, Jeffrey. (1992). In Search of the Dead: A Scientific Investigation of Evidence for Life after Death. San Francisco. Harper. Kachuba, John B. (2004). Ghosthunting Ohio (The Haunted Heartland Series). Cincinnati. Emmis Books. Mackenzie, Andrew. (1982). Hauntings and Apparitions: An Investigation of the Evidence. London. Paladin Books. Ogden, Tom. (1999). The Complete Idiot´s Guide to Ghosts and Hauntings. Indianapolis, Indiana. Alpha Books. Peach, Emily. (1991). Things That Go Bump in the Night. Wellingborough, Northhamptonshire, Great Britain. The Aquarian Press. Price, Harry. (1974). Confessions of a Ghost Hunter. New York. Causeway Books. Righi, Brian. (2008). Ghosts, Apparitions and Poltergeists: An Exploration of the Supernatural through History. Woodbury, Minnesota. Llewellyn Publications. Rogo, D. Scott. (1979). The Poltergeist Experience. New York. Taplinger Publishing Co.
Rogo, D. Scott. (1986). Life after Death: The Case for Survival of Bodily Death. Wellingborough, Northhamptonshire, Great Britain. The Aquarian Press. Roll, William G. (1976). The Poltergeist. Metuchen, NJ. The Scarecrow Press. Spencer, John and Anne. (1997). The Poltergeist Phenomenon. London, England. Headline Book Publishing. Underwood, Peter. (1994). Ghosts and How to See Them. London. Anaya Publishers Ltd.
Auerbach, Loyd. (2004). Ghost Hunting: How to Investigate the Paranormal. Oakland: Ronin Publishing. Auerbach, Loyd. (2004). Hauntings & Poltergeists: A Ghost Hunter's Guide. Oaklannd. Ronin Publishing. Auerbach, Loyd. (2005). A Paranormal Casebook: Ghost Hunting in the New Millennium. Dallas, Texas. Atriad Press LLC. Baker, Robert A. and Nickell, Joe. (1992). Missing Pieces: How to Investigate Ghosts, UFOs, Psychics and other Mysteries. Buffalo, NY. Prometheus Books. Cole, Jeff Scott and Robson, Johnathon. (2015). Ghostly Encounters: Confessions of a Paranormal Investigator. New York. Skyhorse Publishing, Inc.
Hawes, Jason, Wilson, Grant and Friedman, Michael Jan. (2007). Ghost Hunting: True Stories of Unexplained Phenomena from The Atlantic Paranormal Society. New York. Simon & Schuster. Parsons, Brian D. (2008). 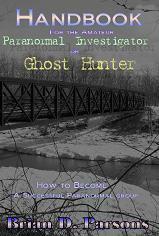 Handbook For the Amateur Paranormal Investigator or Ghost Hunter: How to Become a Successful Paranormal Group. Solon, Ohio. O.P.I.N. Books. Parsons, Brian D. (2008). 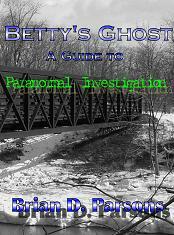 Betty's Ghost: A Guide to Paranormal Investigation. Solon, Ohio. O.P.I.N. Books. Parsons, Brian D. (2010). 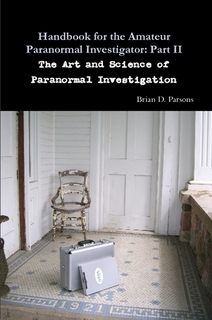 Handbook for the Amateur Paranormal Investigator II: The Art and Science of Paranormal Investigation. Twinsburg, Ohio. O.P.I.N. Books. Parsons, Brian D. (2013). 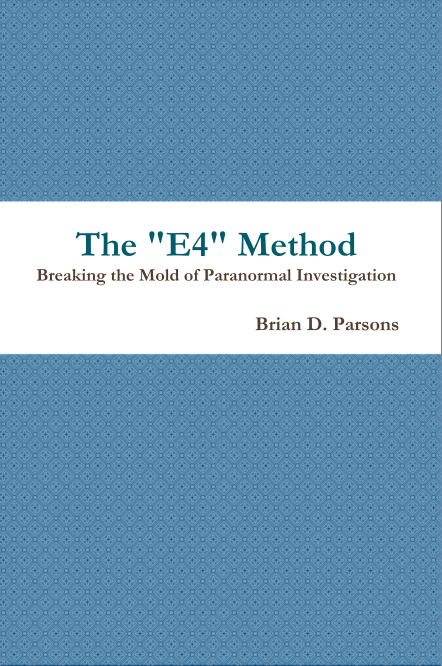 The "E4" Method: Breaking the Mold of Paranormal Investigation. Twinsburg, Ohio. BPGuy Productions. Radford, Benjamin. (2010). Scientific Paranormal Investigation: How to Solve Unexplained Mysteries. Corrales, New Mexico. Rhombus Publishing Company. Taylor, Troy. (2001). Ghost Hunter´s Guidebook. Chicago. Whitechapel Productions. Underwood, Peter. (1986). The Ghost Hunter´s Guide. London. Javelin Books. Warren, Joshua P. (2003). How to Hunt Ghosts: A Practical Guide. New York. Fireside. Auerbach, Loyd. (1986). E.S.P., Hauntings and Poltergeists: A Parapsychologists Handbook. New York: Warner Books. Auerbach, Loyd. (1991). Psychic Dreaming: A Parapsychologist´s Handbook. New York. Warner Books. Auerbach, Loyd. (1993). Reincarnation, Channeling and Possession: A Parapsychologist´s Handbook. New York. Warner Books. Auerbach, Loyd. (1996). Mind Over Matter. New York. Kensington. Berger, Arthur S. and Joyce. (1991). The Encyclopedia of Parapsychology and Psychical Research. New York. Paragon House. Blum, Deborah. (2006). Ghost Hunters: William James and the Search for Scientific Proof of Life After Death. New York. Penguin Books. Braude, Stephen E. (1991). The Limits of Influence: Psychokinesis and the Philosophy of Science. New York. Temple University Press. Broughton, Richard S. (1991). Parapsychology; The Controversial Science. New York: Ballantine Books. Broughton, Richard S. and Roll, William G. (1995). Psychic Connections: A Journey into the Mysterious World of Psi. New York. Delacorte Press. Edge, Hoyt L., et al. (1986). Foundations of Parapsychology: Exploring the Boundaries of Human Capacity. London, England. Routledge & Kegan Paul. Guiley, Rosemary Ellen. (1991). Harper´s Encyclopedia of Mystical and Paranormal Experience. San Francisco. Harper Books. Irwin, H.J. (1994). An Introduction to Parapsychology 2nd. Ed. Jefferson, NC. McFarland & Company. Kripper, Stanley (Ed.). (1994). Advances in Parapsychological Research. Jefferson, NC. McFarland & Company. Kurtz, Pau (Ed.). (1985). A Skeptic´s Handbook of Parapsychology. Buffalo, NY. Prometheus Books. Massullo, Brandon. (2017). The Ghost Studies: New Perspectives on the Origins of Paranormal Experiences. Wayne, New Jersey. The Career Press, Inc.
Radin, Dean I. (1997). The Conscious Universe: The Scientific Truth of Psychic Phenomena. New York. Harper-Collins. Rhine, Louisa E. (1981). The Invisible Picture. Jefferson, NC. McFarland & Co.
Rogo, D. Scott. (1986). Mind over Matter: The Case for Psychokinesis. Wellingborough, Northhamptonshire, Great Britain. The Aquarian Press. Schmeidler, Gertrude R. (1988). Parapsychology and Psychology: Matches and Mismatches. Jefferson, NC. McFarland & Company. White, Rhea. (1990). Parapsychology: New Sources of Information, 1973-1989. Metuchen, NY. The Scarecrow Press. Wills-Brandon, Carla. (2000). One Last Hug Before I Go: The Mystery and Meaning of Deathbed Visions. Health Communications. Zollschan, George K., Schumaker, John F., Walsh, Greg F. (1989). Exploring the Paranormal: Perpectives on Belief and Experience. New York. Avery Publishing. Belanger, Michelle. (2009). The Ghost Hunter's Survival Guide: Protection Techniques for Encounters with the Paranormal. Woodbury, Minnesota. Llewellyn Publications. Browne, Silvia. (2000). The Other Side and Back: A Psychic's Guide to Our World and Beyond. New York. Signet. Edward, John. (2000). One Last Time: A Psychic Medium Speaks to Those We Have Loved and Lost. Berkeley Publishing Group. Hewitt, William W. (1996). Psychic Development for Beginners: An Easy Guide to Releasing and Developing your Psychic Abilities. St. Paul, MN. Llewellyn Publications. Holzer, Hans. (1997). Are You Psychic? Unlocking the Power Within. New York, NY. Avery. Konstantinos. (2001). Contact the Other Side. St. Paul, Minnesota. Llewellyn Publications. Mishlove, Jeffrey. (1988). PSI Development Systems. New York. Ballantine Books. Sanders, Pete A. (1989). You are Psychic! New York. Fawcett Columbine. Scott, Gini Graham, Ph.D. (1991). Shamanism and Personal Mastery. St Paul, Minnesota. Paragon House. Weil, Andrew. (1995). Spontaneous Healing. New York. Alfred A. Knopf. Ackerman, Diane. (1990). A Natural History of the Senses. New York. Random House. Anderson, Peter A., Ph.D. (2004). The Complete Idiot's Guide to Body Language. New York. Apha Books. Chabris, Christopher, and Simons, Daniel. (2010). The Invisble Gorilla. New York. Crown Publishing. Dennett, Daniel C. (1991). Consciousness Explained. Boston. Little, Brown and Co.
Dimitrius, Jo-Ellen, Ph.D. (1998). Reading People: How to Understand People and Predict Their Behavior - Anytime, Anyplace. New York. Random House. Gardner, Daniel. (2008). The Science of Fear: Why We Fear the Things We Shouldn't--and Put Ourselves in Greater Danger. New York. Penguin Group. Eckman, Paul. (2003). Emotions Revealed. New York. Henry Holt and Company. Ormstein, Robert. (1991). The Evolution of Consciousness. New York. Prentice-Hall Press. Pease, Allan and Barbara. (2004). The Definitive Book of Body Language. New York. Bantam Dell. Penrose, Roger. (1994). Shadows of the Mind: A Search fo the Missing Science of Consciousness. Oxford, England. Oxford University Press. Campbell, Thomas. (2007). My Big TOE - The Complete Trilogy. Huntsville, Alabama. Lightning Strike Books, LLC. Hansen, George P. (2001). The Trickster and the Paranormal. Bloomington, Indiana. Xlibris Corporation. Jones, Marie D. (2007). PSIence: How New Discoveries in Quantum Physics and New Science May Explain the Existence of Paranoraml Phenomena. Franklin Lakes, New Jersey. The Career Press, Inc.
Murphy, Michael. (1992). The Future of the Body: Explorations Into the Further Evolution of Human Nature. Los Angeles. Jeremy P. Tarcher. 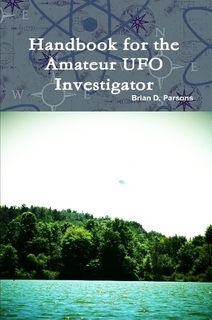 Parsons, Brian D. (Foreword by Loren Coleman) (2015). 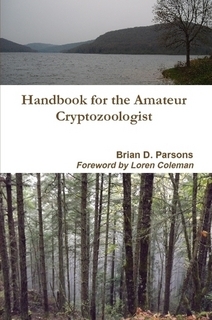 Handbook for the Amateur Cryptozoologist (2nd Ed.). Twinsburg, Ohio. BP Guy Productions. Radford, Benjamin. (2014). Mysterious New Mexico: Miracles, Magic, and Monsters in the Land of Enchantment. Albuquerque. University of New Mexico Press. Sabol, John G. (2007). Ghost Culture: Theories, Context, and Scientific Practice. Bloomington, Indiana. Authorhouse. Sabol, John G. (2008). The Politics of Presence: Haunting Performances on the Gettysburg Battlefield. Bloomington, Indiana. Authorhouse. Sabol, John G. (2009). Bodies of Substance, Fragments of Memories: An Archaeological Sensitivity to Ghostly Presence. Bloomington, Indiana. Authorhouse. Sabol, John G. (2013). Burnside Bridge: The Excavation of a Civil War Soundscape. Brunswick, Maryland. Ghost Excavation Books, Inc.
John Sabol has a total of 15 books to date, visit his site at Ghost Excavator for more information. Stapp, Henry P. (1993). Mind, Matter and Quantum Mechanics. Berlin. Springer Verlag. Talbot, Michael. (1991). The Holographic Universe. New York. HarperCollins. Willis, James A., Henderson, Andrew, Coleman, Loren. (2005). Weird Ohio. New York. Sterling Publishing. Some of the above books are also available as an eBook. Click on the box above to view the entire list of books available in all formats.